These terms and conditions (the “Agreement”) are between you (“you” or “Client”) and Betrayal Trauma Recovery (“BTR”), a Utah non-profit corporation. BTR is honored to support you, and looks forward to providing you with a safe place to process during the coming months. BTR coaches come to sessions on time and free from distractions and respectfully request that you do the same. Our coaching coordinator will periodically drop into group and individual sessions to ensure client safety and coaching quality. Coaching sessions must be paid for in advance and are charged at the time of scheduling through BTR’s website at BTR’s standard rates as adjusted from time to time. Group membership is automatically deducted monthly. 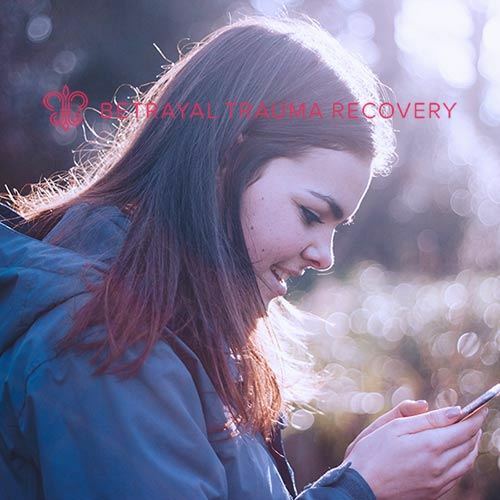 Although membership to Betrayal Trauma Recovery Group can be canceled at anytime, the first payment and any monthly membership fees thereafter are non-refundable. Individual sessions and individual session packages are non-refundable. Individual sessions can be rescheduled up to 24 hours of the session start time. By scheduling a session and clicking on “I agree to the terms and conditions found at btr.org/terms,” you agree to be added to the BTR email list and to receive communications from BTR. You understand that BTR is not HIPAA compliant because BTR does not store medical information. Regardless, BTR will not share any of your personal information with third parties. Although BTR has an SSL Certificate which ensures BTR provides secure, encrypted communications between a website and an internet browser, BTR cannot guarantee the privacy of its users from hackers. Clients are strictly prohibited from recording individual or group coaching sessions, for any reason. Recording sessions in violation of this agreement will result in immediate termination from all BTR services, without refund of all fees paid to date. We ask that clients also keep the names of group members confidential, although we can’t guarantee that clients will keep confidentiality. This paragraph will survive any conclusion or termination of this Agreement. (d) engaging in the conduct of professional intervention, including psychotherapy by the application of established methods and procedures generally recognized in the professions of mental health therapy. You agree to not look to or rely upon BTR for any of the above listed services. You understand and agree that you are fully responsible for your well-being during a BTR session and choices thereafter. I hereby release, waive, and forever discharge BTR, its owners, contractors, officers, agents, successors, assigns, and employees (each of whom is referred to herein as a “BTR Affiliate”) from every claim for damages I now have as well as those I may yet acquire arising out of actions or omissions of a BTR Affiliate to the full extent permitted by law. I further declare and represent that no promise, inducement or agreement not herein expressed has been made to me to enter into this release. The release made pursuant to this paragraph shall bind my heirs, executors, personal representatives, successors, assigns, and agents. This paragraph will survive any conclusion or termination of this Agreement. You agree that you will not contract with or receive coaching services from any BTR coach outside of the BTR structure or hire or pay any BTR coach directly. You will immediately notify BTR of any suggestion by a BTR coach that you hire that coach outside of BTR. You agree that any referral made by BTR for other professional services is in no way intended to be an endorsement of that service provider. You agree and acknowledge the importance of personally evaluating the qualifications of all service providers and of making individual decisions about which service provider(s) to use. This paragraph will survive any conclusion or termination of this Agreement. Client agrees that it will not at any time make, publish or communicate to any person or entity or post on any public forum a defamatory or disparaging remark, comment or statement concerning BTR or any of its owners, directors, contractors, shareholders, officers, employees, or agents. This paragraph will survive any conclusion or termination of this Agreement. This Agreement contains the entire agreement between BTR and Client but not the entire agreement between BTR and one of its coaches. It is non-assignable without the written consent of the other party. You agree that you have no agreement with any owner, shareholder, agent or employee of BTR in his or her individual capacity. If any provision of this Agreement is invalid or unenforceable the remainder of the Agreement shall not be affected. All modifications to this Agreement must be in writing and signed by BTR and Client. You agree that the Fourth District Court of Utah or the United States District Court for the District of Utah shall have exclusive jurisdiction over all claims between BTR and you including but not limited to claims arising out of or related to this Agreement. You agree to submit to the personal jurisdiction of such courts for the purpose of litigating all such claims. The laws of the State of Utah will govern this Agreement as well as any claim that might arise between you and BTR, without regard to conflict of law provisions. In the event of litigation, the prevailing party shall be entitled to its court costs, attorney fees, deposition costs, and all other litigation expenses. This paragraph will survive any conclusion or termination of this Agreement.